My first visit to St. Maarten was one to remember. I originally visited this small island in the West Indies in 2014 and was swiftly charmed by their friendly people, perfect weather and it’s unique hilly landscape. 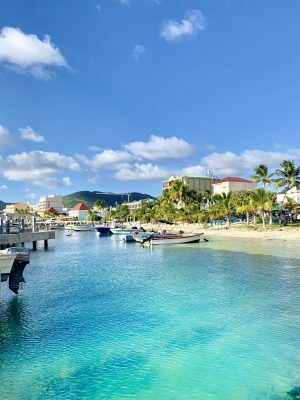 Split into two distinct countries, Sint Maarten (the Dutch side) and Saint Martin (the French side) travellers to this tiny isle get a unique opportunity to experience two cultural flavours in one. The harmonious division between the two sides allow tourists to travel freely across borders. Within a 30 minute drive on either side, you can get a taste of the exuberant and energetic allure of the Dutch side along with the European charm and culinary experience of the French side. 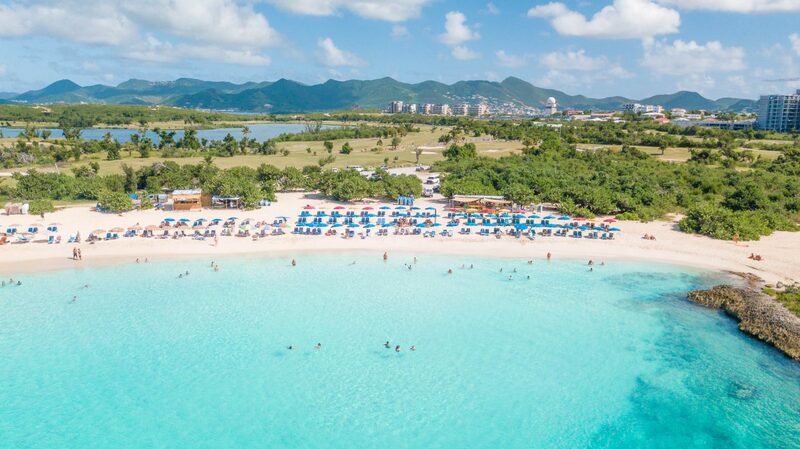 And if thats not enough, St. Maarten is a quick seaplane or boat ride to many neighbouring islands including Anguilla, St. Barths, Saba and Sint Eustatius. Having fallen in love with this special island, I was devastated when news hit that they were badly hit by Hurricane Irma in September 2017. This Category 5 hurricane wiped out most of the island causing as much as three billion dollars in damage leaving barely anything behind. While both sides of the island were badly hit, the French side (Northern side) of the island seemed to have received the worse of it. Many hotels and businesses have had to permanently close doors as the damage was too severe to move onward from. However, some more fortunate business owners were able to find a silver lining in the hurricane devastation. Some were able to see it as an opportunity to rebuild into something bigger, better and ultimately stronger for years to come. Fast forward 15 months post hurricane Irma to my second visit to St. Maarten. While the island is still very much recovering from the hurricane damage it is most certainly happening in strides. The Dutch side has been able to recover at a much speedier pace. This has allowed cruise ships and flight arrivals to finally return back to their normal weekly schedule. With tourism rapidly picking back up, businesses are quickly reopening with hope to get back to a normal pace for 2019. On my most recent visit, I stayed with Divi Little Bay located on the Dutch side of St. Maarten in Philipsburg. Like many hotels on the island, their property was badly hit causing severe damage to both the interior and exterior of the resort. However, Divi was one of the fortunate properties that were able to turn the destruction from the hurricane into an opportunity. They turned the unfortunate circumstance into an opportunity to revamp and rebuild adding new rooms, new pools and new restaurants. During my visit, I had the opportunity to celebrate their grand reopening. 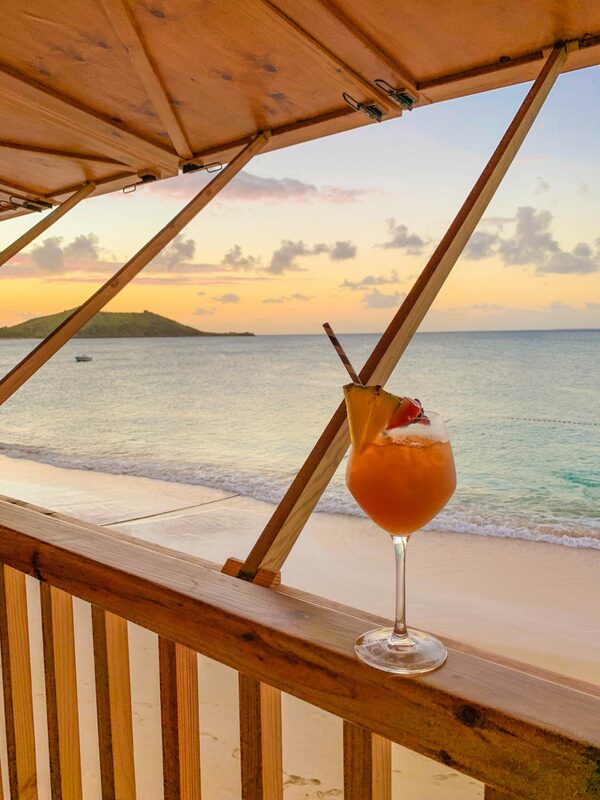 Divi Little Bay celebrated their success in being the first hotel on the island to return back to 100%! Their accomplishments in reopening has proved to be a strong statement to the resiliency and determination of the island. Divi Little Bay is located on a narrow peninsula offering incredible 360 views of the Caribbean sea. It is very well located and about 20 minutes by foot to the main area of Philipsburg. The vast beachfront is certainly one of the most attractive features of Divi Little Bay. Spanning the entire stretch of the peninsula, there is never a shortage of beach space and perfect views of the sea. 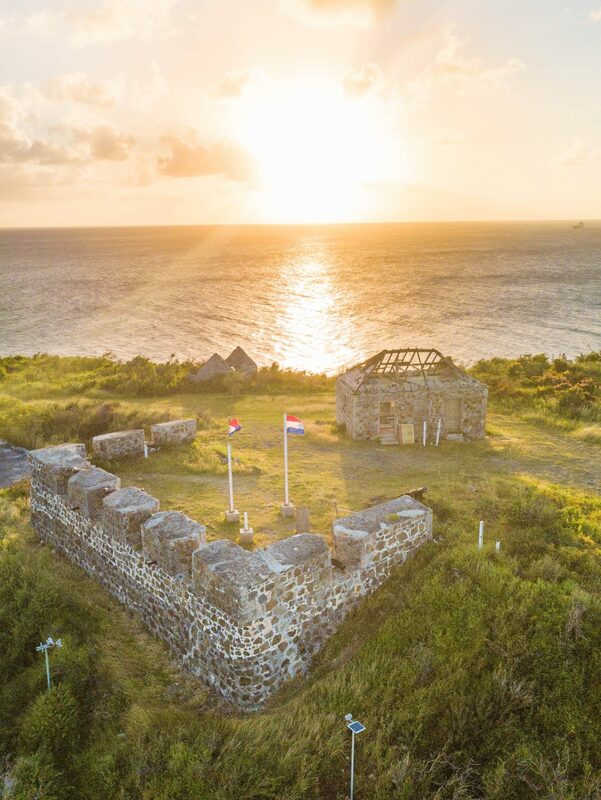 Located on the tip of the peninsula you will find the historic Fort Amsterdam. Originally built in 1631, the Fort is one of the main attractions for the Dutch side of the island. When staying with Divi, its only a 5 minute walk to enjoy the aerial views of the bay and perfect Caribbean sunsets. 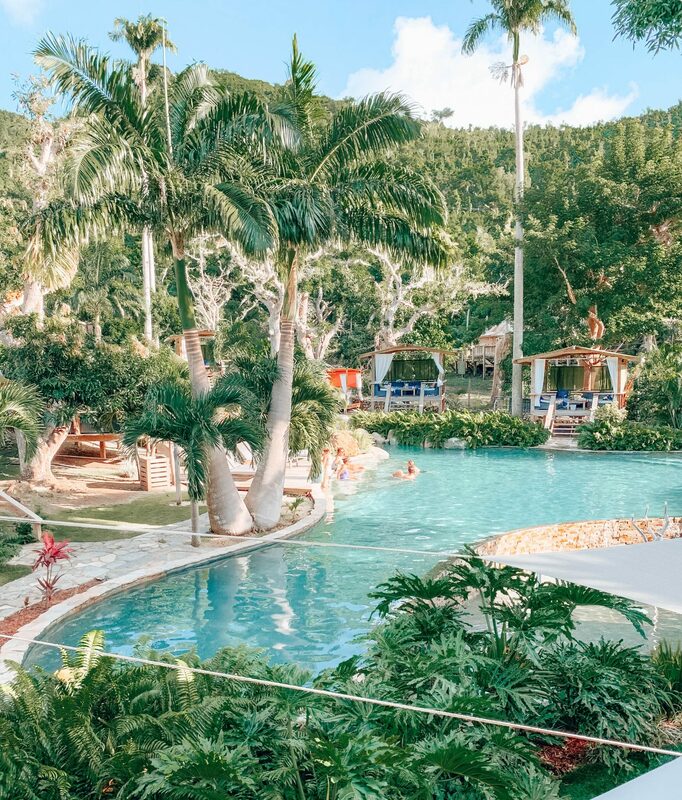 Being a mostly timeshare property means that Divi Little Bay is a second home for many guests. 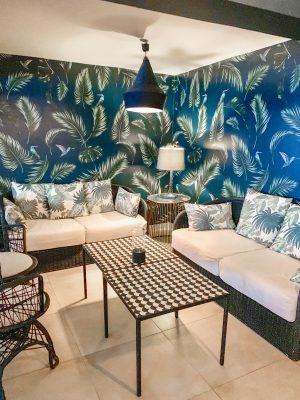 This creates a unique atmosphere as many guests know each other and treat the resort like their home away from home. All of the rooms on the property have a view of the sea and over 80% are apartment style with a kitchen/kitchenette. Since the hurricane, Divi has made some wonderful renovations to their rooms. The hotel rooms, located beach front, have all been refreshed with a modern look. The suites, located throughout the rest of the resort, come in studio, 1-bedroom, 2-bedroom and 3-bedroom options. Some of the suites also come with ensuite laundry to accommodate those staying long term or with small children. During my stay, I enjoyed the all-inclusive plan giving me freedom to dine across the resort. There are 5 restaurants on the property and an additional cafe with yummy breakfast and lunch selections. My favorite was the newly renovated Pure Ocean restaurant. The restaurant has a charming Mediterranean feel and offers delicious a la carte entrees with a fantastic selection of wines. Pure Ocean also holds weekly theme nights where a curated menu is offered along with live music and entertainment. Since the hurricane they added two new concepts to their dining options. One is a Jerk Shack, offering traditional Caribbean BBQ including chicken and ribs. The other is Pur Roc where guests cook their choice of protein on a heated lava rock on their table. With so many great dining options, you will not go hungry! Finally, I loved to hang out by the infinity pool. 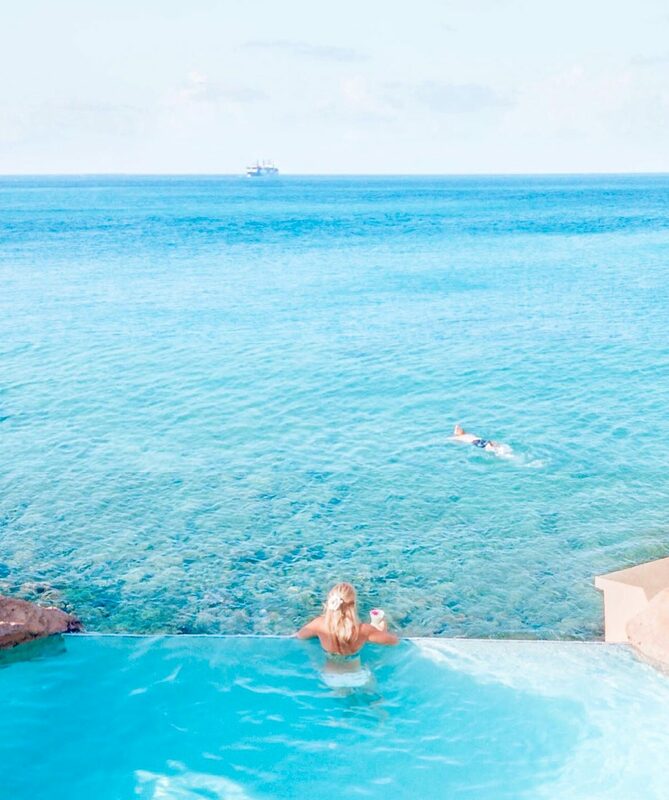 Located on one of the highest points of the hotel, you will find the infinity pool overlooking Little Bay. It is also the perfect spot to enjoy the sunset. It is typically pretty quiet so it feels like your very own pool. 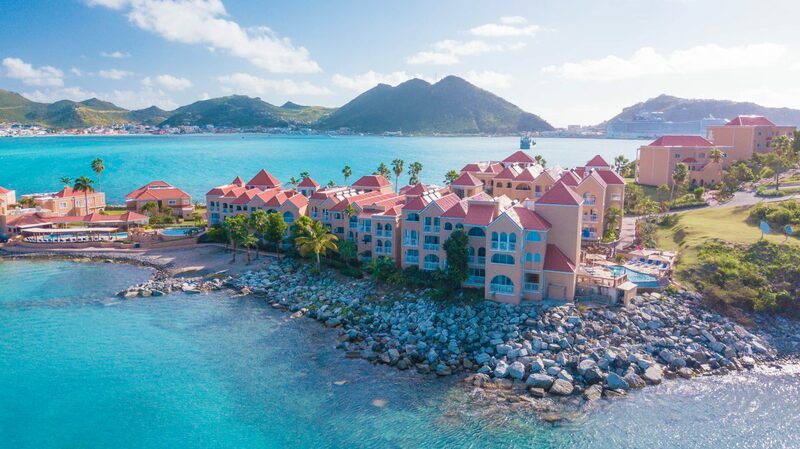 The Dutch side of the island is home to the vibrant capital of Philipsburg. 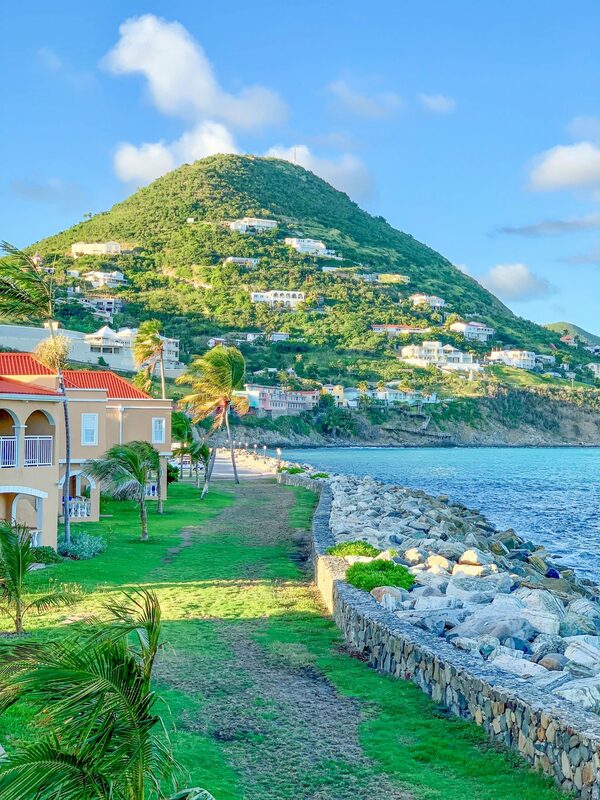 Philipsburg is abundant with Dutch charm with Caribbean flare. Colorful buildings and lively shops line the beachfront boardwalk. On the main strip of Front Street, you can find great, tax-free shopping, diverse street cuisines and the famous Guavaberry Rum Emporium. With the airport and the cruise port both located on the Dutch side, there is certainly a lot to offer in terms of entertainment. There are many outdoor activities like jet-skiing, scuba diving and zip-lining on the worlds steepest zip-line at Rainforest Adventure. The Dutch side is also known for their exciting nightlife and plethora of casinos. Simpsons Bay becomes the hotspot of the whole island at night. The beaches are another main draw for the Dutch side of the island. 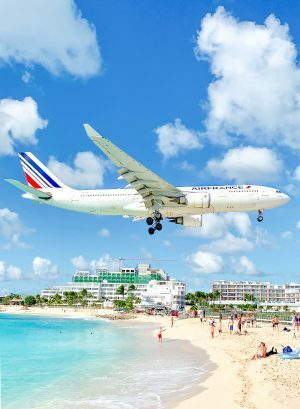 Maho Beach, next to the airport, is definitely the place to visit for an exhilarating experience. Flights come in throughout the day at a distance that feels like inches from the water. The main events are typically the KLM and Air France flights in the later afternoon. Such. An. Experience! Another great beach on the Dutch side is Mullet Beach. Not too far from Maho, Mullet Beach is in an small inlet with calm turquoise waters and white sand. After a quick step over the border (no passport needed) you enter the French side of the island. Upon driving over the border the distinction between the two sides is evident. The French side has colonial style architecture with recognizable European charm. It truly feels as if you crossed into a European country. The first stop on our tour was to Loterie Farm on the French hillside. Contrary to the name, it is not an actual farm but rather an eco-park. They have a little oasis in the middle of the forest with a pool, restaurant, bar and zip-line During out visit we learned that they would soon be opening a lodge as well as a 9-hole golf course. Loterie Farm is definitely a great place to check out when visiting the French side. Following the visit to the hillside eco-park, we then made a stop at Tijon Parfumerie. In addition to selling their signature French Caribbean scents, you can also visit Tijon to make your own personal fragrance. Tijon offers a unique experience where you get the chance to make your own perfume with their selection of essential oils to bottle and take home. The day ended in Grand Case for a sunset dunner on the waterfront . 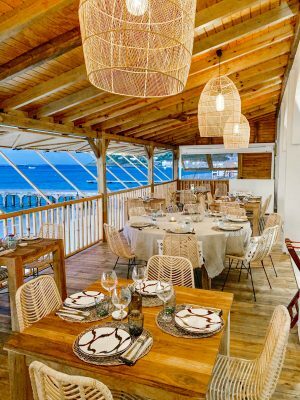 Grand Case is home to many of the finest restaurants on the French side of St. Martin. For dinner we visited the newly opened restaurant and bar, Barranco. 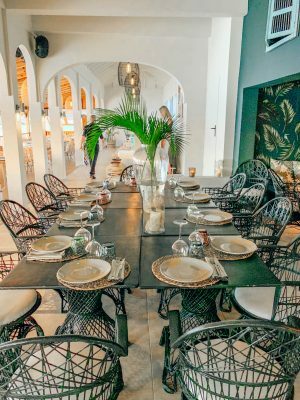 The restaurant is beautifully decorated in boho-chic decor and had a fun a lively ambiance on the waterfront. The menu selection is fantastic and proudly curated by a 3-Michelin Star chef from Paris. Needless to say, the food was impeccable. The entire group agreed that Barranco was certainly the highlight of our trip to the French side of the island. The buzz all over the island was that 2019 will be their year! The island has come together to impressively make strides in recovery. Having visited as they are just getting back on their feet has really opened my eyes to a new type of travel. It felt nice to come and support their resilience and persistence in bouncing back from the natural disaster stronger than ever before. 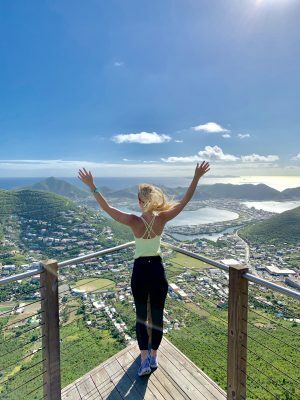 The doors to the magnificent island of St. Maarten and St. Martin are back open and they are welcoming tourists with open arms! 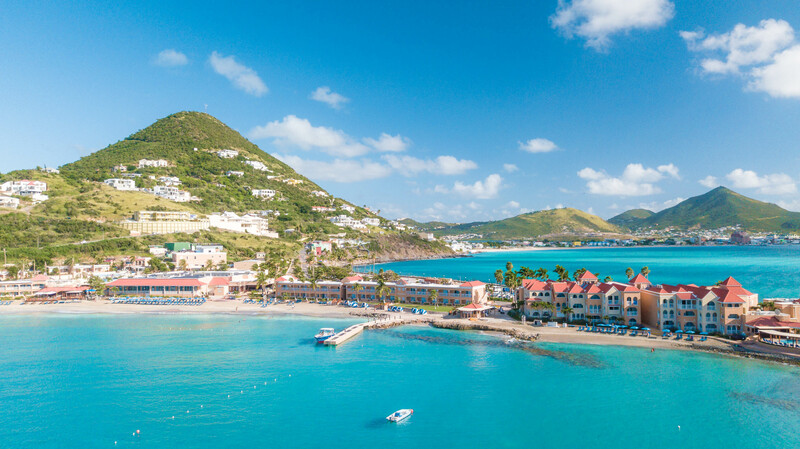 Whether you have already been to this tiny island or it has just popped up on your radar, be sure to consider St. Maarten/St. 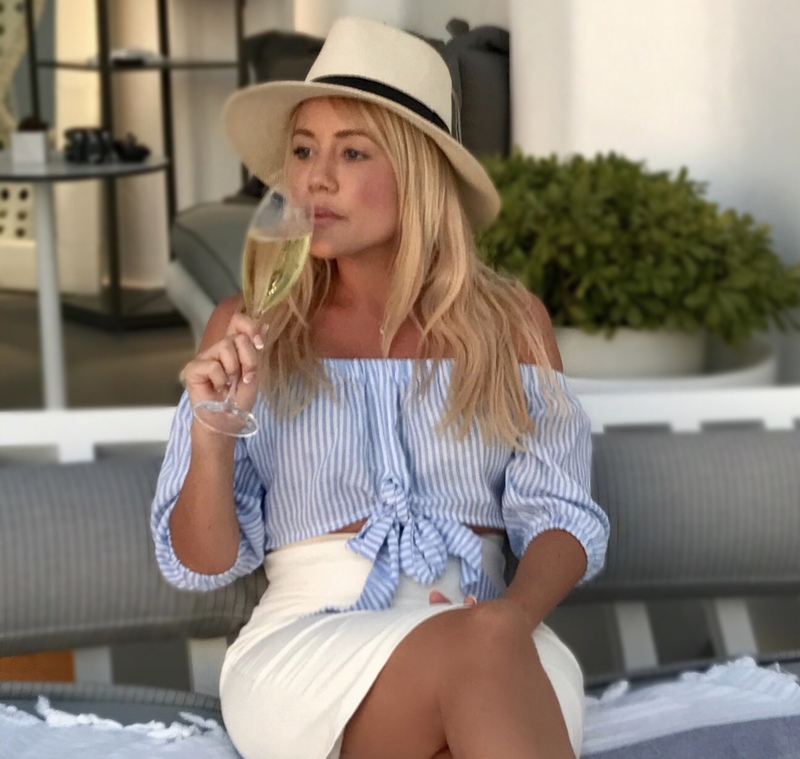 Maritn in your travel plans for 2019!